As written by Vala in his column: One of my favorite digital marketing thought leaders is Gartner research vice president Jake Sorofman – follow Jake on Twitter at @jakesorofman. Sorofman recently wrote a post titled “The ABCs of Digital Marketing” where he used the entire alphabet (excluding letters X and Z) to highlight key digital marketing terminology and important concepts. The letter ‘C’ represented ‘content’ which is certainly the most important use of the letter C in digital marketing – so I thought. Apparently, there may be a bunch of words that start with the letter ‘C’ that are equally important for digital marketers. Mayur Gupta is Senior Vice President, and Head of Digital at Healthgrades. More than one million people a day rely upon Healthgrades to research, compare and connect with physicians and other healthcare professionals. Gupta is a marketing and digital technology expert, responsible for collaborating with CIO and CMO of Healthgrades to drive digital business transformation initiatives. Gupta recently joined Healthgrades with the mission to use data and technology to change and improve human lives. Gupta quickly recognized the similarities between healthcare and other industries that he served like CPG, retail, travel and tourism. All of these industries are becoming more consumer focused and experience driven, driving a consistent set of marketing needs across all industries. I recently collaborated with Gupta to better understand his approach to digital marketing transformation. Gupta’s views are not based on the traditional P’s of marketing – Product, Price, Place, Promotion – but rather 5 Cs of digital marketing. Healthcare is going through a transition today. The focus is shifting toward consumer’s health and well-being instead of solely focusing on illness and treatments. The evolution in data, technology and communication, along with the changing dynamics of the healthcare industry is gradually putting the consumer at the center, and in full control. The ecosystem and the machinery is also starting to respond to consumer’s emotional and functional needs. As is evident from the past, technologies and innovation do not disrupt categories but consumers do and we are starting to witness that in healthcare despite the regulations and the stringent policies. Much like any other brand, every health brand is now aiming at delivering an always-on, seamless and omni-channel consumer experiences that will inspire behavioral change and participation. “Always place the CONSUMER at the center, both in strategy and execution. CONVERGENCE is needed at all levels to overcome the challenges of fragmentation and silos. 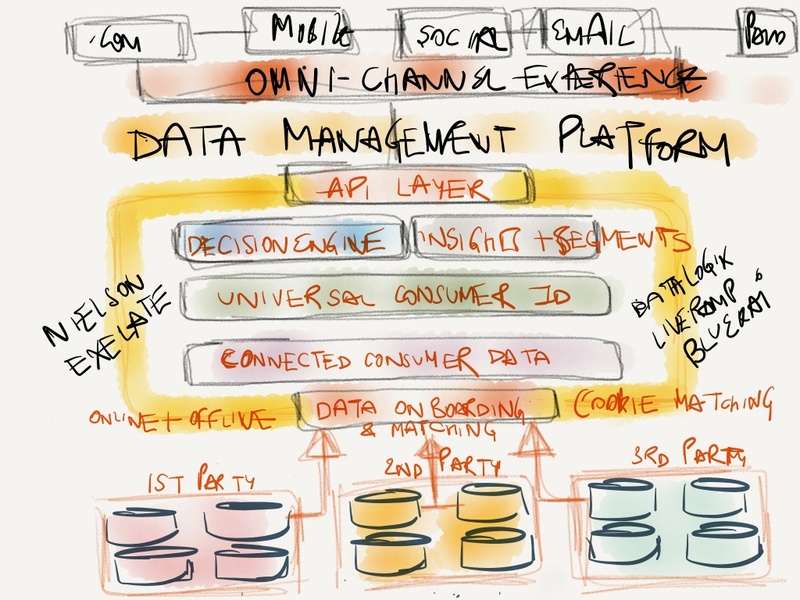 The two channel agnostic pillars of a seamless experience is CONTENT and CONTEXT. If executed properly, these 4 Cs will organically drive COMMERCE,” said Gupta. 1. CONSUMER – The consumer is connected, informed, collaborative, social, and more empowered than ever before. The consumer is the extension of your brand. The consumer’s persona, buyers journey, and experience must be at the center of your strategy. You can replace consumer with customer or client – bottom line, behind every B2B or B2C, there is a person – the consumer of your content, products, and services. 2. 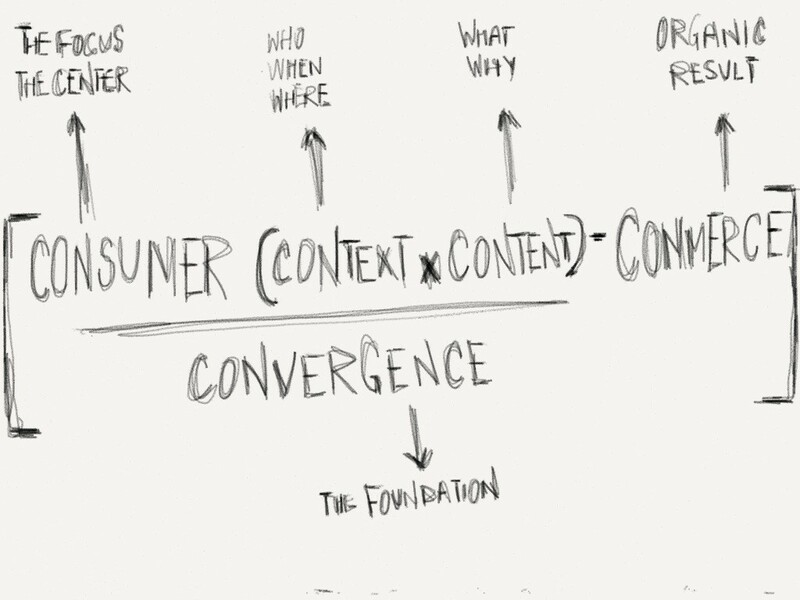 CONTEXT – the power of contextual intelligence is the ability to personalize your engagement with the consumer. Context is about knowing and understanding behavior at any point in the relationship, across all touch-points, at all times. 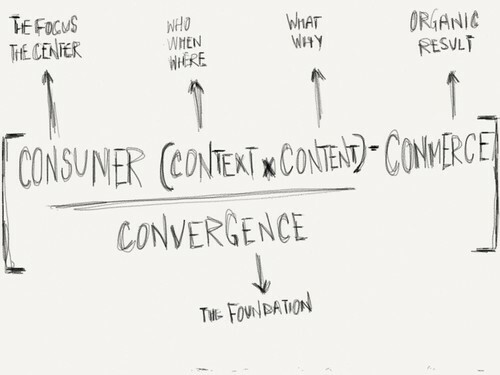 Context is about knowing the who, what, where, when and most importantly why the consumer wants something, and then delivery just that, at the right time and channel of preference. 3. CONTENT – Content must be influenced, inspired and driven based on context – relevant and useful information that is delivered just in time, pervasively across the ecosystem (channel, device, and touch-point). “Content without context or context without the ability to inspire and influence content is both meaningless and will never drive behavioral change,” said Gupta. 4. COMMERCE – Anticipating the needs of the consumer and making it easy and fast to purchase is key. Ultimately, convenience always wins. Organizational Convergence – Across marketing, sales, technology, finance; ultimately ensuring a common set of goals and objectives centering around the consumer and her experience. 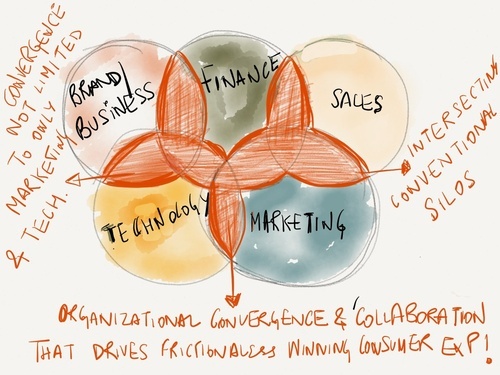 Alignment is key when marketing in the era of convergence. 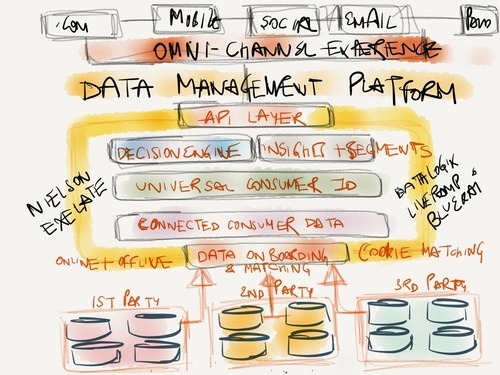 Data Convergence – convergence across 1st, 2nd and 3rd party, paid, owned, earned, social, shopping and behavioral data. An environment where data is the glue that connects the consumer journey together across her ecosystem, making seamless experiences a reality. Technology Convergence – When you are a hammer, every problem starts to look like a nail. Savvy marketers will leverage technology to ensure a consistent experience across all touch-points with the objective to positively influence the consumer behavior, instead of isolated and unrelated opportunities to deliver the brand promise. Technology doesn’t connect us to our customers, ideas, values, guiding principles and ultimately excellent products and services is what fuels the connection economy. 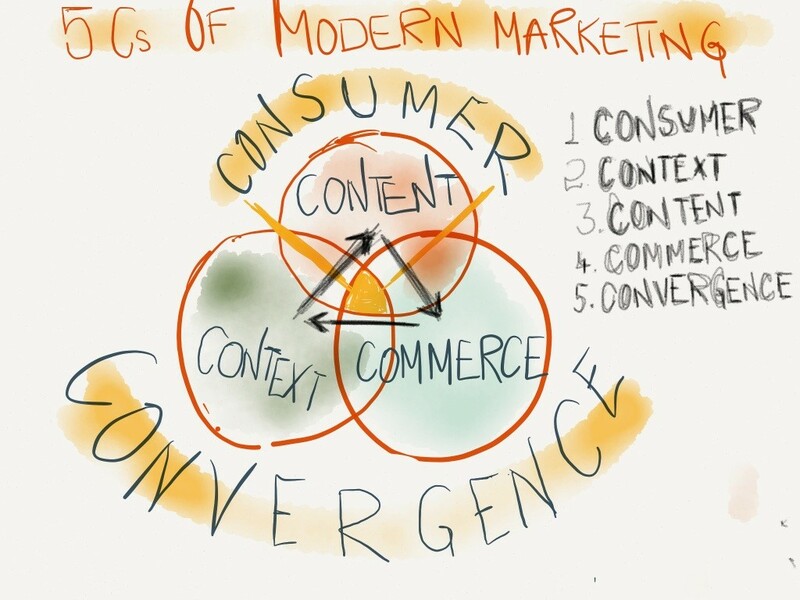 Skills Convergence – Gupta believes the DNA of the modern marketer is defined by overlapping attributes and the intersection of marketing, technology, data, content, creative, storytelling and more; someone who breaks the traditional T Shaped mindset and goes wide and deep across functions. Gupta also believes that the biggest challenge marketers face is the journey from strategy to execution. With the consumer at the center of this ecosystem, strategy alone is not enough; she demands real and tangible experiences, she is no longer the “AUDIENCE“, she is the “PROTAGONIST“. 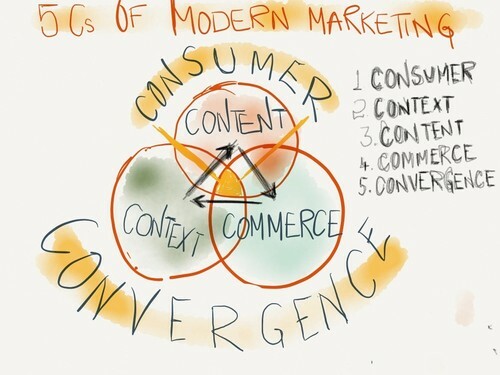 That’s where we need to go a level deeper and get real; deliver seamless experiences at the CONVERGENCE of CONTEXT, CONTENT and COMMERCE; keeping her (CONSUMER) interest, needs and desires at the center as a human being, and NOT AS A SEGMENT anymore. The empowered consumer’s expectations are changing, were transparency, authenticity, intelligence and accessibility are key to success. Businesses must begin to focus on arguably the most important C-word in business – CULTURE. In today’s connected and on-demand economy, relevance is the most important currency in business. To stay relevant, businesses must adopt a customer-fist culture, knowing that the path to scale is a committed, common-sense approach with competent and confident employees who exhibit the character that inspires customer loyalty and advocacy. Okay, I admit, that’s a lot of words that start with a letter ‘C’ in one sentence. So let’s end with this: smart businesses recognize that the only Constant is Change. To stay relevant, you must have the courage and discipline to change for the better.